Growing up, my mom introduced us to all natural beauty products and hair care. She subscribed to a few all natural product subscriptions. She swore by tea tree oil for its many medical benefits. The smell always deterred me from its benefits. Since those days, I have always been on the look out for new all natural beauty remedies. If I can get an oil or something from nature to improve my hair, skin, etc. I want to try it. Then I heard about this. Put a few drops of Argan Oil into the ends of your hair after drying to combat frizz. Or smooth through hair while damp for moisturizing benefits. 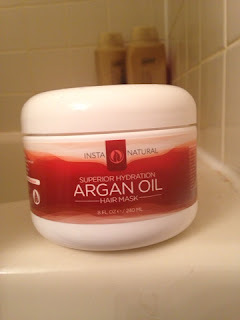 InstaNatural has taken it the extra step and made their own hair mask made with Argan Oil. It was great to use on my hair and you can use it daily as a conditioner to get the most benefits. And you can't beat how great it will make your hair smell. If you suffer from adult acne, this is the product for you. It has great benefits to fix problem skin by reducing inflammation. It's a better option than pricier lotions and using salicylic acid. Argan Oil is also beneficial to combat the winter skin blues by using as a daily body moisturizer. InstaNatural has a convenient bottle of Argan Oil to allow you to use as scrubs, in your hair or skin. This is one of my favorite ways to use Argan Oil, as an oil based lotion. I have always suffered from terrible dry, cracked skin on my hands in the winter. 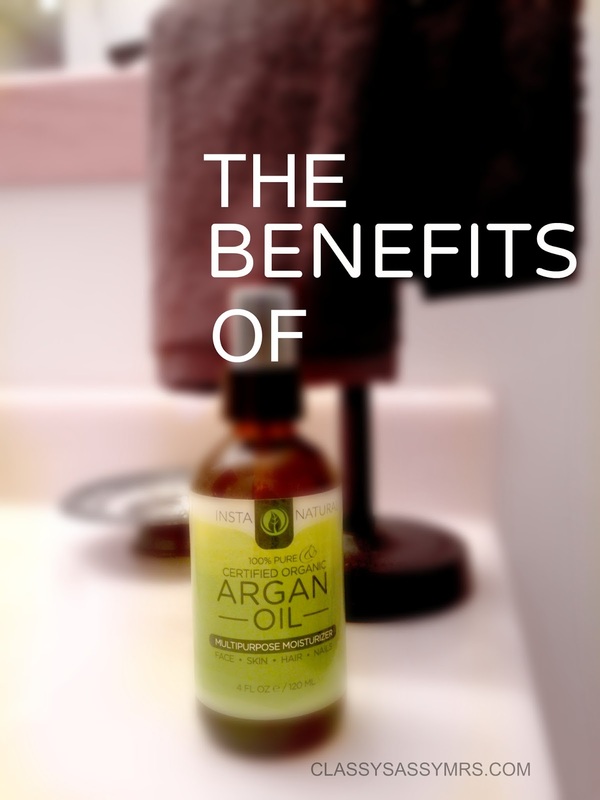 Without having to put on lotion many times a day, I just rub Argan Oil once in the morning. I have definitely seen an improvement in the condition of my skin this winter. InstaNatural carries a whole line of natural skin care products as well as hair & body products. They are all priced just right especially for Organic products. They can be ordered through their website or through Amazon. Have you tried Argan Oil before? What are your favorite all natural beauty methods? I was fortunate to receive Argan Oil Hair Mask and Argan Oil from BrandBacker to test. Opinions are all my own. Best stuff I've ever used for my hair!